Spirit of August Revolution shines forever! 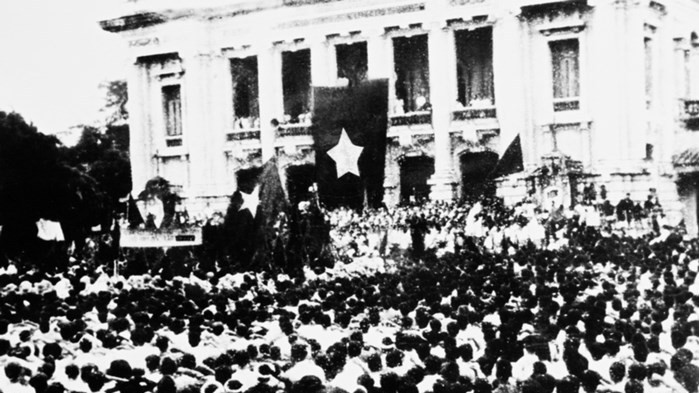 During these days 73 years ago, under the Party’s sound leadership, Vietnamese people throughout the country took advantage of a historic opportunity to unite and stage a general uprising that seized power, ended slavery and opened up a new era of independence in which the Vietnamese people are the owners of their country. The August Revolution in 1945 is a significant milestone in the history of Vietnam. The great victory of the August Revolution in 1945 is the victory of the strength of national unity, the tradition of patriotism and the indomitable spirit of the Vietnamese people under the outstanding leadership of the Party and President Ho Chi Minh. The victory demonstrates the capability and intelligence of the Party, led by President Ho Chi Minh, who had the great vision to choose the strategy of revolutionary struggle. The inevitable triumph came as a result of the experience from previous revolutionary movements led by the Party and the creative employment of Marxism-Leninism combined with the spirit of the times. The August Revolution is not only a significant milestone in Vietnamese history but also a historic international event that strongly encouraged colonised and oppressed people around the world to commit to the struggle for national independence, democracy and social progress. The journey of the past 73 years has been arduous but the invincible spirit and historical value of the August Revolution are always a source of strength for the entire Party and people to continue writing glorious historical pages. They are the long, resilient and heroic resistance wars against foreign powers with the pinnacles being the Dien Bien Phu Victory in 1954, that shook the world, and General Offensive and Uprising of 1975 that liberated southern Vietnam and reunified the country. They are the Doi Moi reform that has brought about significant accomplishments. Never in history has Vietnam possessed the level of strength and position as it has today. From an under-developed country, Vietnam has emerged to become a developing country with strong economic growth. Vietnam is politically and socially stable, with enhanced security and defence and an increasingly expanded socialist democracy, while its international relations are deepening with a greater position in the international stage. The road that Vietnam is following has many opportunities and advantages but there are also a great deal of challenges ahead. Such challenges require the Party and people to continue building on the spirit and lessons of the August Revolution and to remain steadfast on the chosen path to move the country forward. This year marks the 73rd anniversary of the August Revolution and the third year of the implementation of the 12th Party Congress resolution. More than ever, the entire Party, people and armed forces need to promote the spirit of the August Revolution to realise the goals set out in the Congress and translate the Party’s resolutions into reality. The tasks involved are the restructuring of the economy, pushing through industrialisation and modernisation; stepping up Party building and preventing political and moral degradation; continuing to streamline the political apparatus; radically and comprehensively reforming education and training; and promoting the application of science and technology. The spirit of the August Revolution will shine forever and is a source of strength in a new era, the era of a heroic Vietnamese people building a wealthy and beautiful nation.